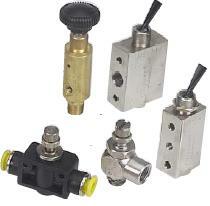 Clippard is a manufacturer of miniature pneumatic valves, cylinders and fittings. Since 1941, Clippard has not only been a leader in the field of miniature pneumatics, they invented it! 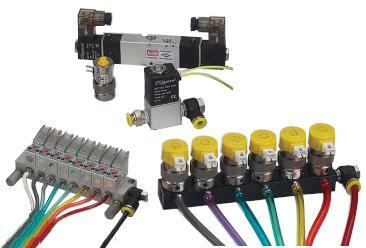 Clippard offers a wide range of electronic valves. Combined with a series of Clippard manifolds, they provide a complete system for efficient interface with electric and electronic circuits. Air cylinders have always been an integral part of the Clippard Minimatic® line. Over the years Clippard has responded to requests from cylinder users to provide additional sizes of air cylinders and auxiliary support products. While competitively priced, these products maintain the Clippard standard for quality and reliability that has been the industry standard for many years. Smaller valves and cylinders created the need for smaller fittings. Clippard was the first to develop ports utilizing the 10-32 thread. This thread has become an industry standard in the marketplace. Clippard precision fittings will save you time, space, and money when designing versatile, productive, trouble free, pneumatic circuits. Their endless variety of fittings insure that you find just the right fit when plumbing pneumatic circuits or assemblies. Clippard offers a wide variety of Urethane tubing and hose, Polyethylene tubing, Vinyl hose and specialty conductors such as Ribbon and Twin hose options. Clayton Controls is a Clippard distributor in California. We offer technical support to help our customers solve their applications.